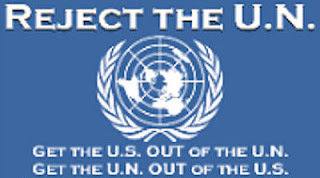 Bill Smith, Editor: Many Republican voters have noticed in the last week that candidate Newt Gingrich's message has jumped the tracks and taken a direction which is rapidly wrecking his previous message of being solutions oriented and against the socialist agenda of President Obama. As a result, it may wind up that the final money spent by the Newt's campaign on attack ads on fellow candidate Mitt Romney will not only wreck Gingrich's own campaign but damage Newt's image as a results oriented guru. Of course, if Romney wins in Nov. 2012 and then after a couple years as POTUS the economy becomes worse than under Obama (unlikely), then we may hear the cry of the Newt: "I told you so." Not very Reaganesque. 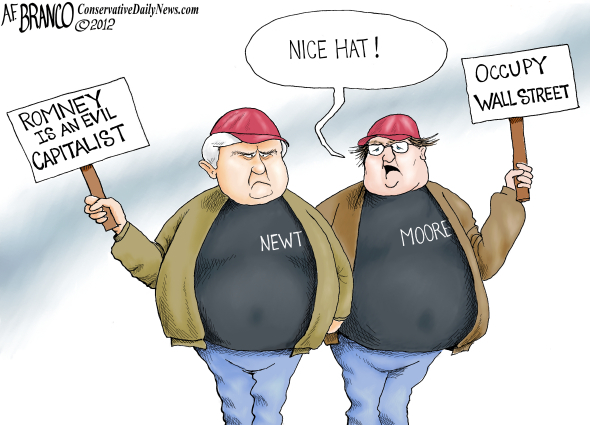 Tags: Newt Gingrich, campaign ads, capitalism, Occupy Wall Street, Michael Moore, liberal, political cartoon AF Branco To share or post to your site, click on "Post Link". Please mention / link to the ARRA News Service. Thanks! "GinGrinch" is the most lefty corrupt person running, nobody trusts him!